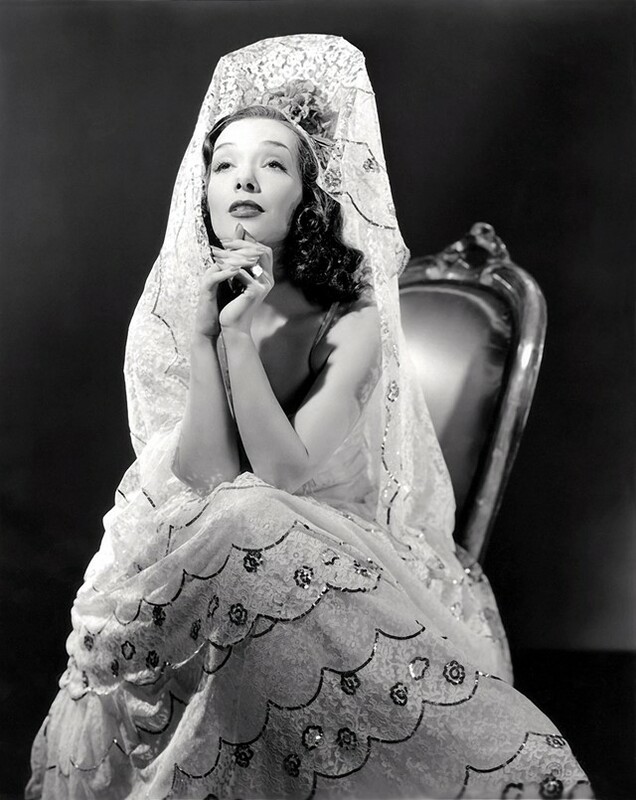 A regular fixture on the Hollywood party scene in those days was a young Mexican actress named Lupe Vélez, who embodied the mood of the era. The fiery femme fatale was queen of the amour fou, and was often spotted with her dates at the Garden. In his cult gossip book Hollywood Babylon, Kenneth Anger wrote, vitriolically, that Velez would “flash her charms” at parties, “always innocent of lingerie”. 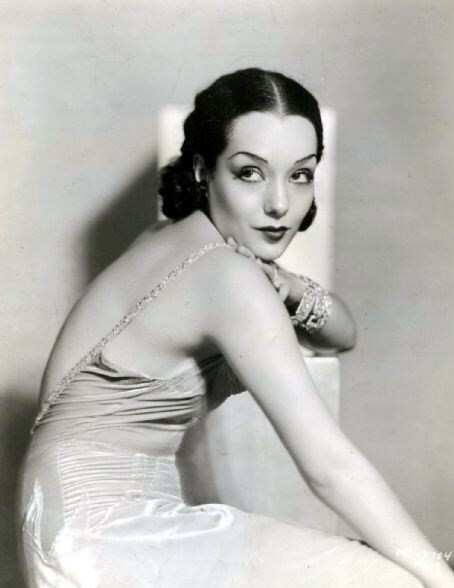 Despite often being typecast in ethnic stereotypes that riffed on the hot-tempered Latin woman trope, Vélez brought her spirited personality and comic timing to movies such as The Gaucho (1927), alongside Douglas Fairbanks and The Wolf Song with Gary Cooper (1929). 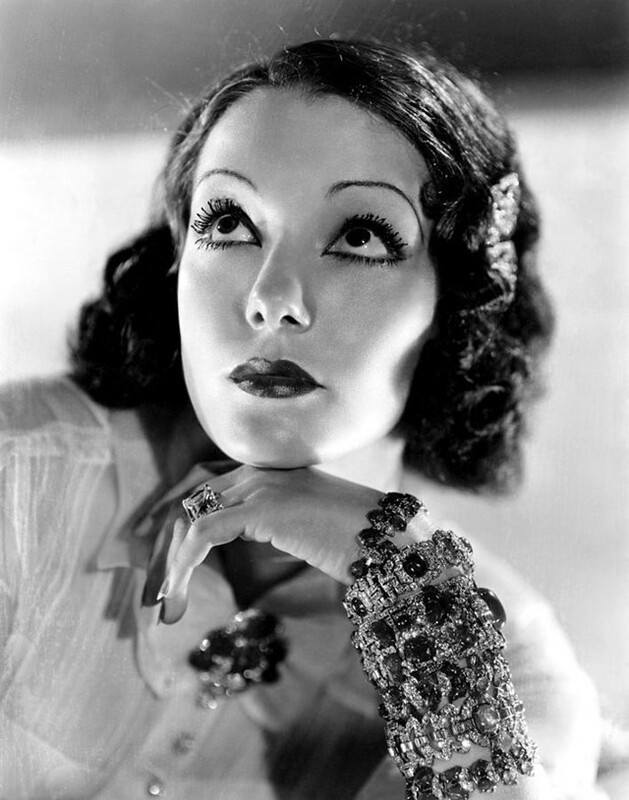 Later, she’d fall into B movies, but her exceptional charm and temperamental character made the films that earned the tiny five-foot star the moniker The Mexican Spitfire, into roaring commercial successes. 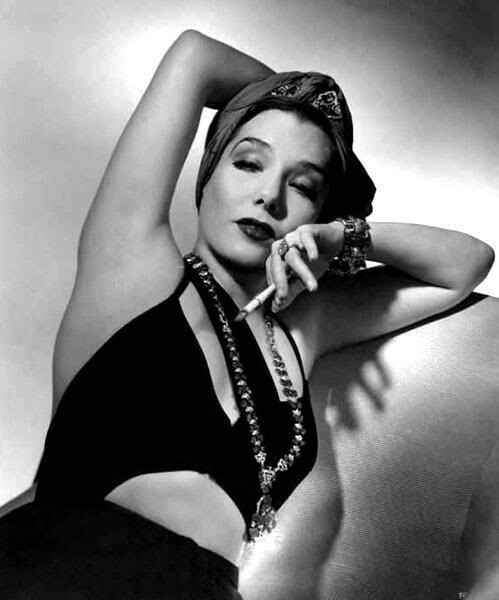 Born María Guadalupe Villalobos Vélez in 1908, the actress’s obscurity to stardom ascent is as old Hollywood as it gets. Hailing from San Luis Potosí, Mexico, Vélez’s backstory is cloaked in mystery. Was she the illegitimate daughter of a burlesque performer or the privileged child of a colonel father and opera diva mother – the version preferred by the studios? The story differs depending on who’s telling it. In the end, none of this really mattered – as ever in Hollywood, the legend has more currency than reality, something Vélez was acutely aware of, attempting to mythologise her own legacy right up until the end of her life, orchestrating her own tragic and much speculated-over death. Romantic disappointments and a personal crisis, exasperated by what has since been thought to be an undiagnosed bipolar disorder, spelled out disaster for Vélez. Pregnant and abandoned by her final lover, the staunchly catholic Vélez saw no way out but to end her own life at the age of 36. Following what would transpire to be a final dinner at her home with friends, Vélez poisoned herself. While Kenneth Anger’s take in Hollywood Babylon revels in rumours that Vélez’s plans to die looking serene, lying exactly as positioned on her bed were thwarted when she became sick, eventually causing her to pass away with her head in the toilet (a piece of gossip referenced by John Waters in a guest spot in an episode of The Simpsons), other biographers refute the claim as not just distasteful, but untrue. One element consistent in all versions of Vélez’s final night is the effort and showmanship put into dressing her surroundings and herself in order to give her the send-off of a beautiful diva. Candles and freshly cut flowers adorned the sad scene in the bedroom of her Beverly Hills home as she undertook the macabre task of meticulously doing her make-up and choosing her final outfit. By most accounts, she died that night in her best blue satin pyjamas, while Anger’s version has her ascending her “wrought-iron staircase in her silver lame gown”. A photograph from a book by Barbara Schroeder, claimed to be a police scene image, shows a woman lying in full evening dress and flower garland. This too has been widely argued to be a fake, not of Vélez or even a genuinely deceased body.